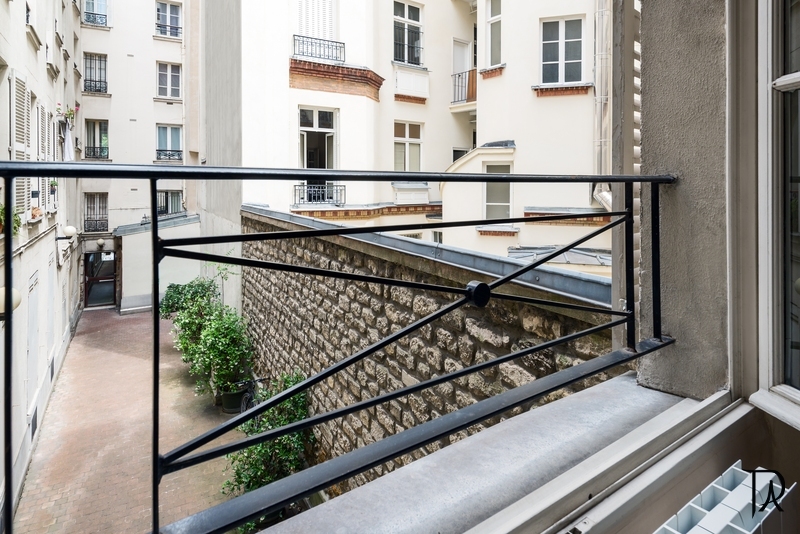 This beautiful and quiet studio apartment is located in a classic building built in the late XIXth century right around the corner from Musée Rodin and a short walk from the Musée d'Orsay, the Louvre, the Tuileries, the Bon Marché and the Luxembourg Gardens. 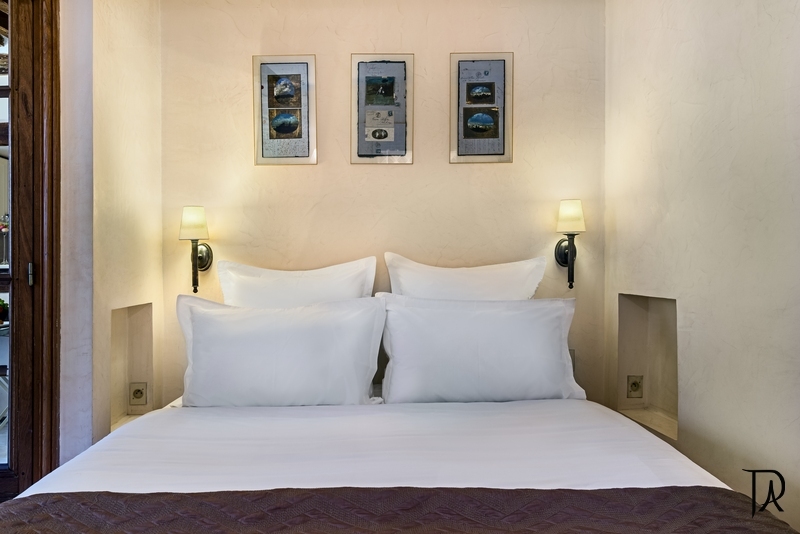 This nice studio has is the perfect place to relax and make your stay so very lovely. 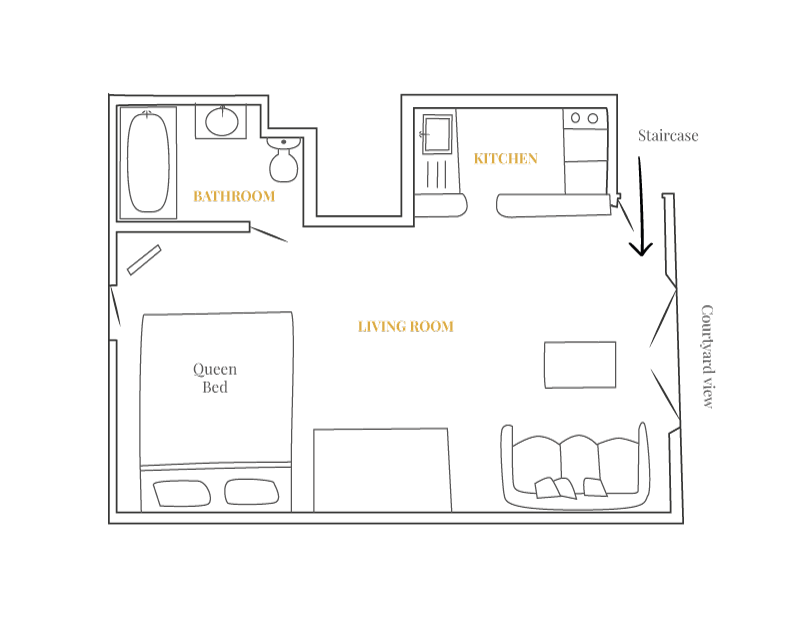 Rate based on 2 person occupancy. 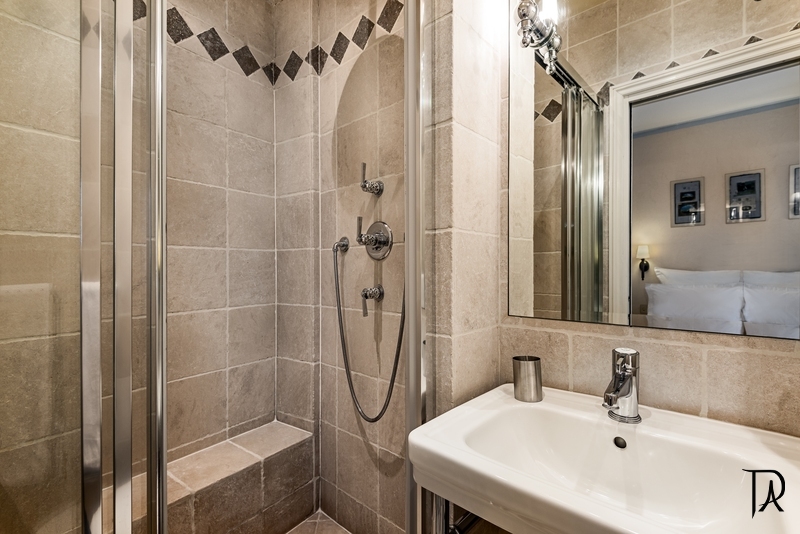 “Apartment is very warm, bed is cozy and bathroom clean-clean. Studio is small, but very well functional and simply beautiful! 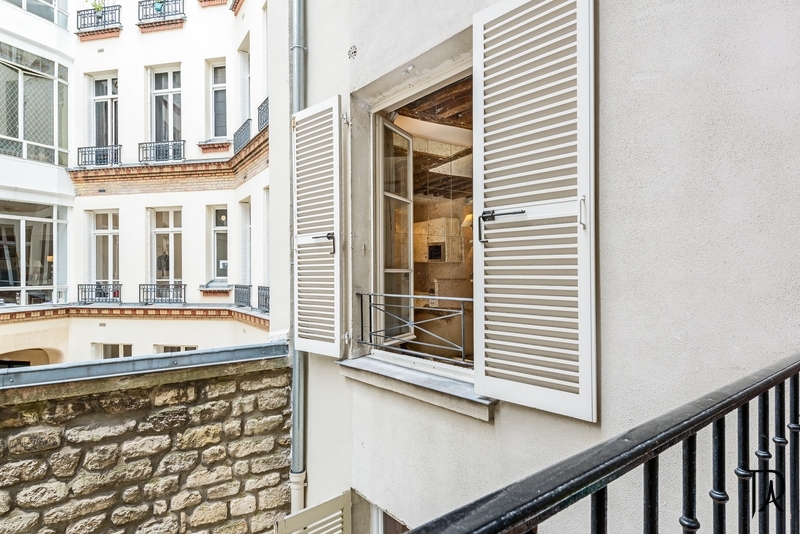 Located in a very nice and typical Parisian district with many local cafes, restaurants, shops, markets  all in a short distance. We were cooking French and eating eat at home with my husband and our small baby  and have cool memories about it! We of course were buying warm Croissants every morning and fresh cheeses just down stairs. We had professional welcome on arrival from Pierre, speed service and quick help when asked from PVA team when asked. Thank very much and see you soon. Recommended! 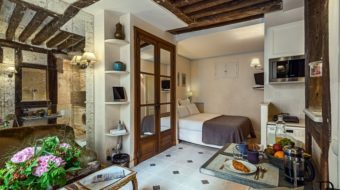 Wonderful apartment, my husband and I had the most incredible stay! Clara greeted us when we arrived and was so thorough and extremely welcoming. The apartment is perfect for a couple, and the location is incredible!!!! Hope to be back very soon! Great location. 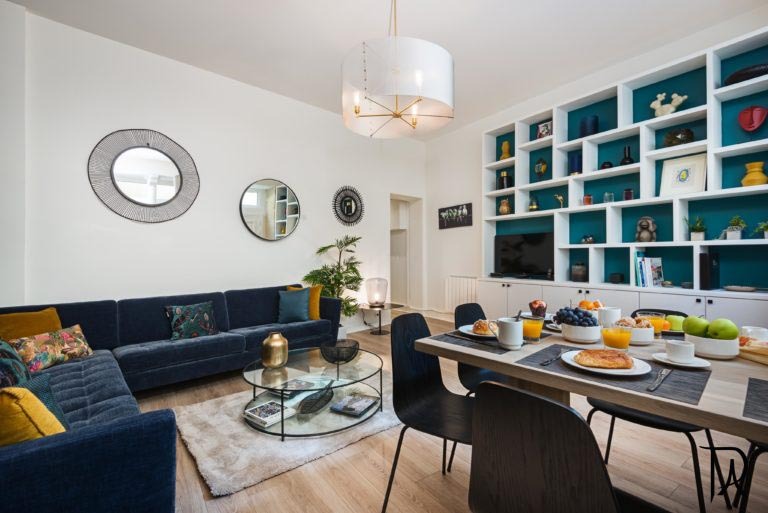 Comfortable (and cute) apartment with everything you need for a stay longer than a few days. Stayed here for 10 days and would love to stay again in the future. Great hosts with easy check in/check out. We’ll be recommending it to friends! 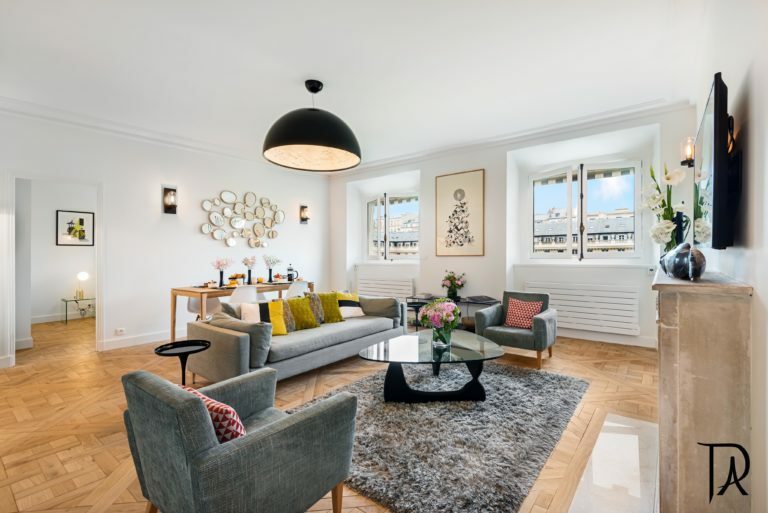 A wonderful apartment in the lovely St. Germain des Pres, an area filled with fabulous shopping, great bistros, and perfect Metro access. 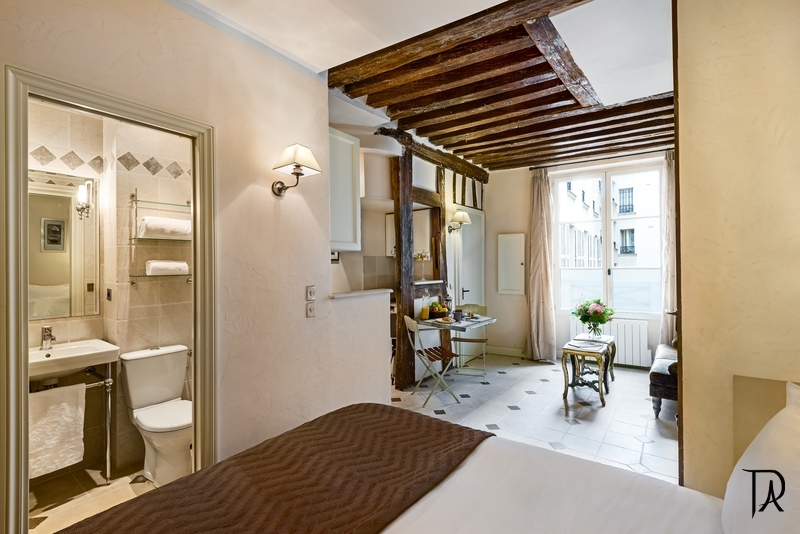 Comfortable bed, well equipped kitchen, and a lovely toilette. The studio is simple but quaint. The flowers and croissants and wine on arrive were an unexpected touch. The location was fantastic, a short walk to the Seinne and walking distance to so many other places. We found the place so easily using Alexandre’s instructions. The studio is simple but quaint. The flowers and croissants and wine on arrive were an unexpected touch. 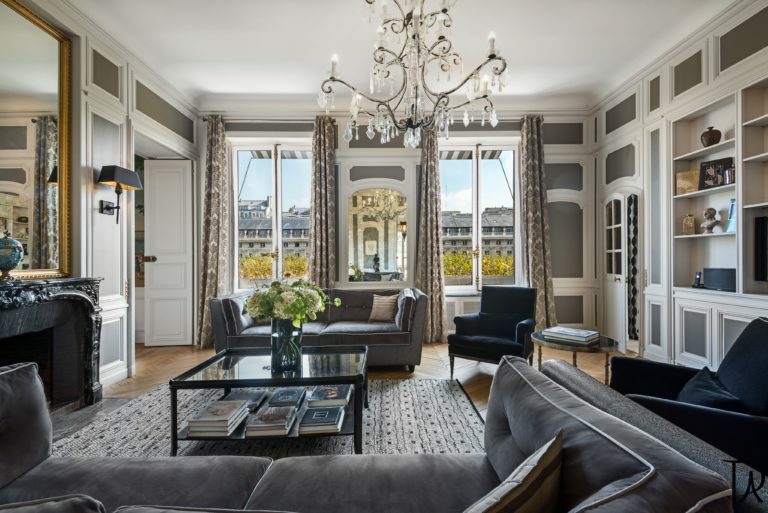 The location was fantastic, a short walk to the Seine and walking distance to so many other places. We found the place so easily using Alexandre’s instructions. Very quiet and convenient location – easy access to metro, bakery, grocery store, restaurants and much more! Host was very supportive throughout our stay. It was cute, safe, and on a charming street with delicious food. 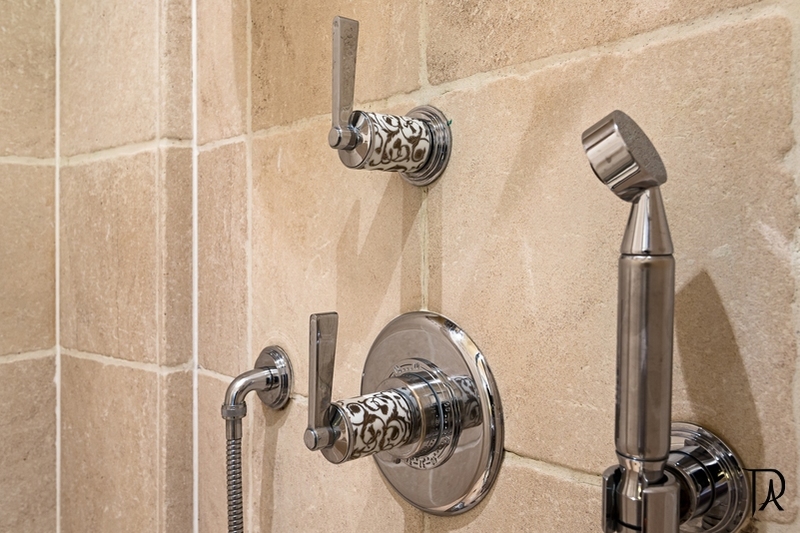 This was our first experience with AirB&B and we couldn’t be more pleased. We loved the location, comfortable bed, having access to appliances like a refrigerator and washing machine. Will highly recommend this lovely apartment to others. Such a cute, clean, and comfortable apartment. Great host and location. This was perfect for our stay and would definitely come back! Communication with host is easy. Apartment was very clean. Our stay was enjoyable. This apartment was absolutely amazing. Fanny allowed us to check in early, and had wine and croissants on arrival! 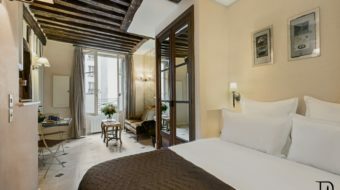 The location is great too, Saint Germain is really Central and easy to get around the beautiful city. The bed is big, comfortable and the shower was awesome. 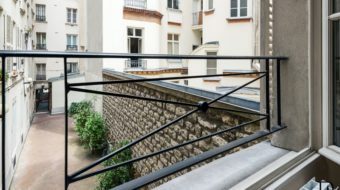 We had a perfect stay at Alexandre’s place and would recommend this to anyone staying in Paris for long or short term … ! 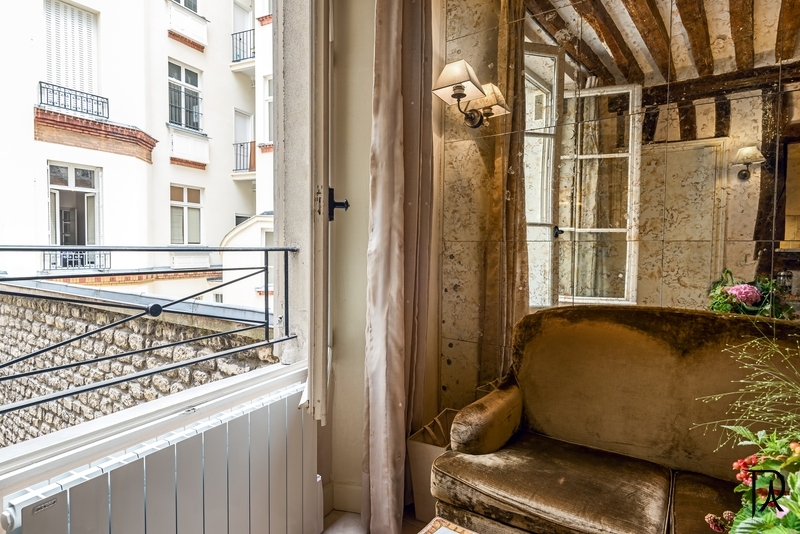 Great little apartment in the center of Paris. Comes with an iPad, portable speaker, and washer dryer. Greeter does a great job of suggesting restaurants, sights, and explains how the public transit system works. Apartment exceeded expectations! From the cute, warm charm to the great location. 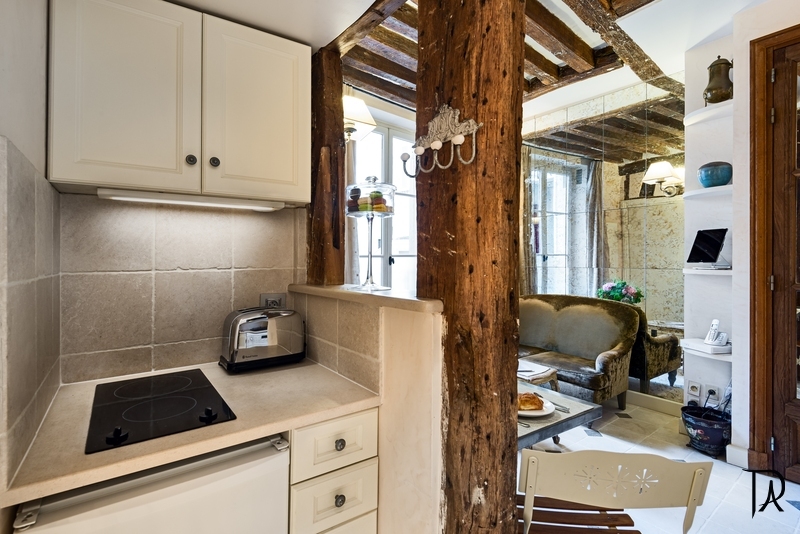 The apartment is close to a cheese shop, cafes, market, public transportation, and much more! In a very safe area. Kind hosts who had wine and pastries out upon our arrival. Would definitely recommend Thank you! I really enjoyed staying in this apartment. One of the greeters was there upon arrival to show us around the apartment and explain everything to us. Location was great and the apartment was exactly what I was looking for. 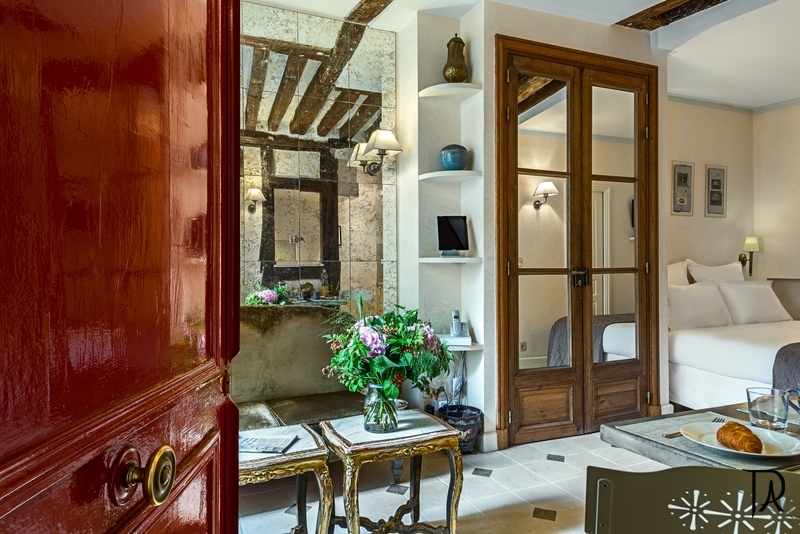 I would recommend to anyone looking to stay somewhere central in Saint Germain! Super good apartament. Perfect communication. Very flexible with check in/ check out time! I would come back and recomend! 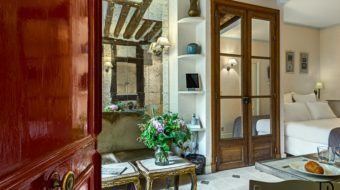 “My wife and I stayed at the St Germain studio for the first half of our 2 week honeymoon in France. We wanted a low-key place where wecould make ourselves at home (as opposed to a hotel) and this was the perfect solution. 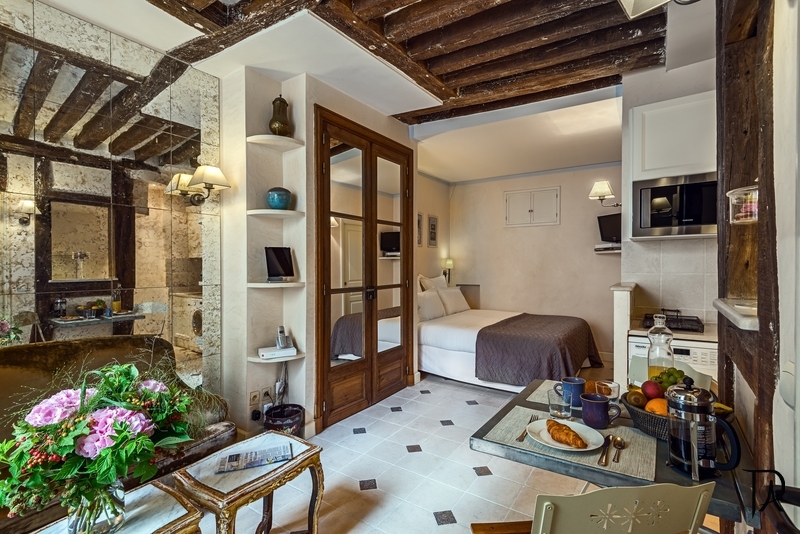 True to the description, the apartment was located in a great area with access to wonderful restaurants and shops. Every morning, I would pop down to the local bakery to get bread for the day and in the evenings, pick up some snacks and food (for the nights we cooked dinner). We truly felt like local Parisians and can’t wait to return again. The apartment itself was very comfortable and had pretty much all of the amenities one would want for an extended stay (washer/dryer, small kitchen, internet, and TV). It might feel a tad small for American standards, but the space is maximized and when you’re out and about for most of the day, you don’t care much. The St Germain area is very upscale and we never felt threatened or uncomfortable. 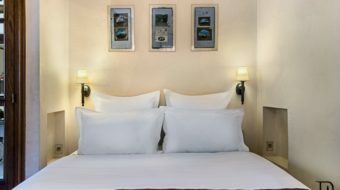 We didn’t have much need for help from the PVA team during our stay, but it was very clear that they would have been very responsive to our requests and would have helped as much as possible. Excellent apartment and location, small but everything one requires, great check in/out and communications from PVA, laptop and free internet, washing and dryer, great shower and excellent water pressure, comfortable beds and basic supplies 9 Cofee/tea/sugar/oil/washing powder etc.) Supermarket/bakery/metro/wine/cheese all with in a few metres, very quiet and safe location. A wonderful alternative to hotel accommodation! 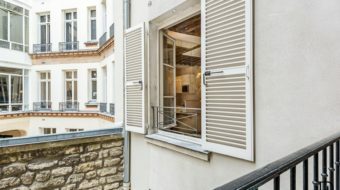 Great location  close to transport, cafes, restaurants, within walking distances from central Paris and also very quiet. 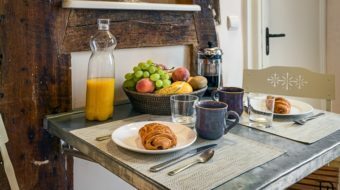 We were delighted with the apartment  the surrounding shops are great  wonderful cheese shop on the ground floor of the building, a patisserie with the best macaroons, great wine shop with well priced wine, butcher with pre-cooked meals. The apartment is set up with everything you need including lots of maps and ideas on where to eat and things to see and a very comfortable bed. Would highly recommend the apartment for a great value stay. The process of booking and the communication during the leadup and the actual stay was excellent and informative and greatly appreciated. Excellent and informative welcome from PVA. Apartment small but comfortable with a lot of character. Great Location with a convenient supermarket and other shops. Great value. “was referred to Alex’s company by a friend who had rented from him previously. I was a little nervous, I was traveling with a friend who was kind enough to trust my decision without checking it out first. 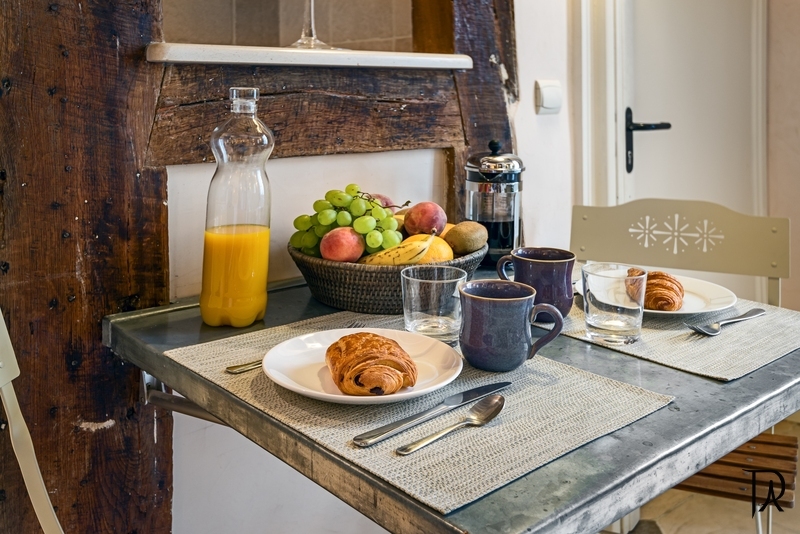 Our initial impression was so positive, we were given perfect instructions, finding the apartment was a cinch,( considering our lack of French), and the nicest surprise was being greeted with fresh flowers, chocolate, wine…how charming. Our apartment was adorable, exactly as described. I especially appreciated the computer you provided and the amount of towels. 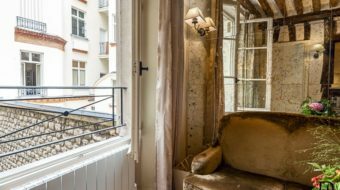 We were traveling in Paris with friends who chose not to rent an apartment, they stayed in a hotel on the Left Bank, but preferred our apartment. It felt more, well, French. The service was personal, complete and exceptional. The guide book in the apartment was useful. Fred, who met us at the apartment, made sure we knew how to work everything, told us where the local services were, and generally made us feel that we were special guests. He ordered a taxi to take us to the airport, arranged a babysitter for a friend, helped us negotiate a train strike and couldnt have been more helpful. It was very useful to have the computer and internet connection in the apartment. We loved the apartment and its location and cant wait to return. 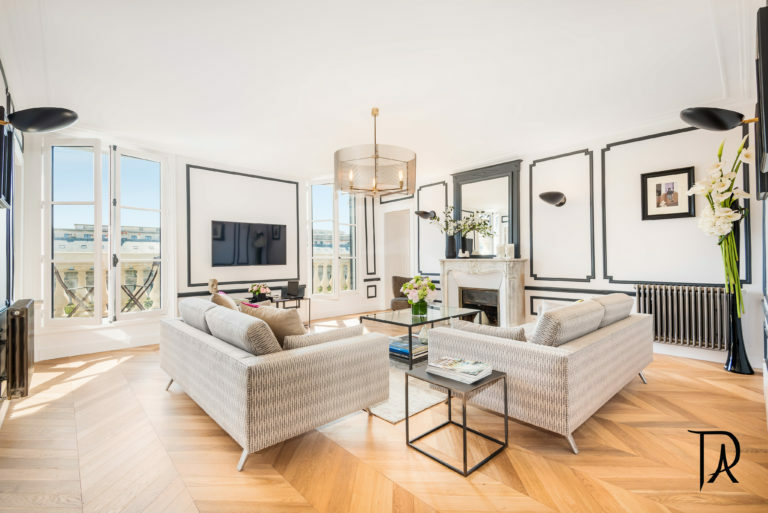 We had a wonderful time staying at the 51 Rue de Grenelle apartment. Marie-Laurie was extremely helpful when we arrived, giving us an overview of the area, showing us around the apartment, and arranging for a taxi to pick us up at the end of our stay. The apartment was beautiful and extremely clean when we arrived. 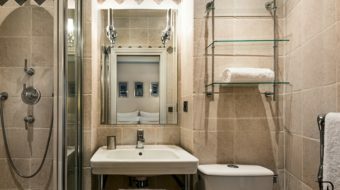 It is in a great location, we easily walked to many sights, such as the Louvre, the Musee d’Orsay, and the Musee Rodin, to name a few. We also walked to cafes in St. Germain and rode on the Metro from the Rue du Bac and Sevres-Babylone stations. 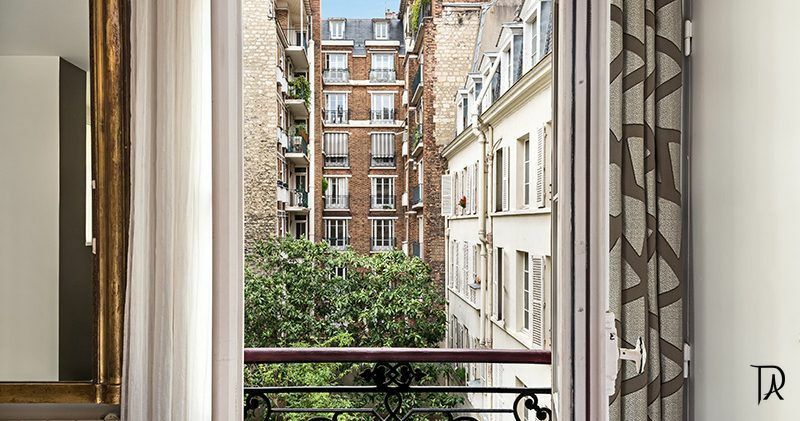 We would highly recommend this apartment to anyone visiting Paris. 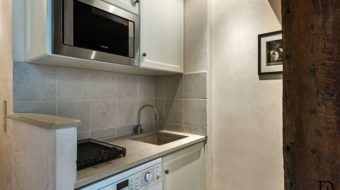 This was a perfect, very well equipped apartment, in a very attractive, central but very quiet location, with excellent food shops, cafes, marvellous traditional restaurants and wonderful fashion shops. 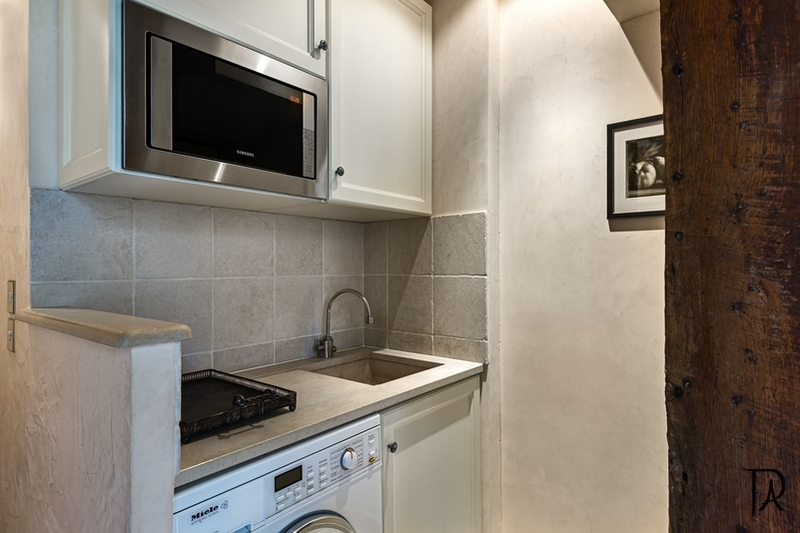 Within walking distance of so many landmarks and 1 minute from a Metro. 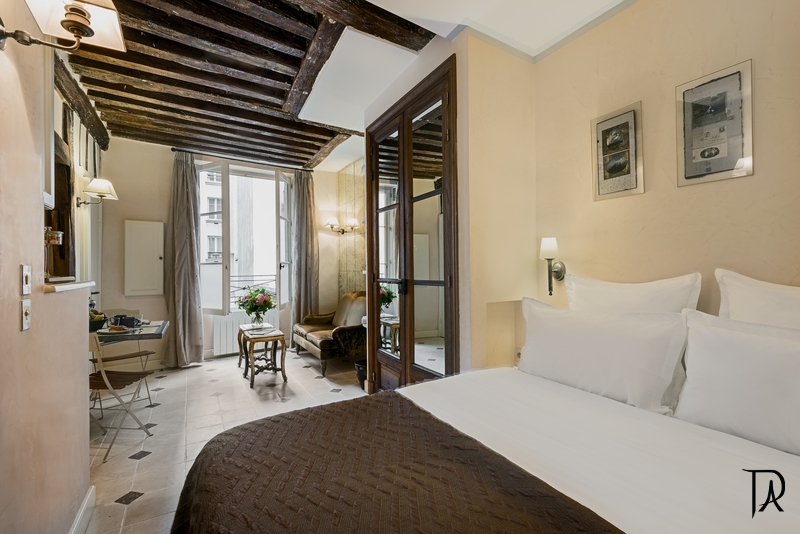 I could not fault my stay at 51 Rue do Grenelle and found the staff and management very helpful and very reliable. The welcoming roses and wine were very much appreciated. Restaurant recommendation, 5 mins walk, La Ptite Chaise for a wonderful, traditional french meal. For a luxe touch go to the George V hotel for a drink and see the great flower arrangements. Thank you Alex and Marie Laure. Alex was great from the beginning and very professional. He answered all questions before arrival and while we were there. The apartment was in an excellent location with a grocery store at the end of the block and the metro at the end of the other block. There was an ATM right outside the building. Everything in the apartment was just as it was pictured. I would highly recommend this apartment and company to anyone! A fantastic location within walking distance to everything you need. The space is very inviting and definitely feels like home away from home. It was a blessing to have the kitchen as it kept our meal expenses down enabling us to really enjoy the meals we did have out. This was the best place to stay, very clean great location the people couldn’t have been any nicer. I haven’t stoped talking about my trip and the place I was staying. This apartment was perfect in every way, what a gem. 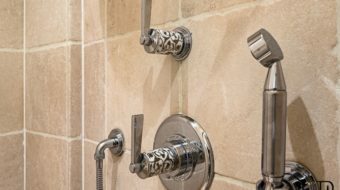 The photos look good but they dont capture all the tasteful details that make this apartment so special. 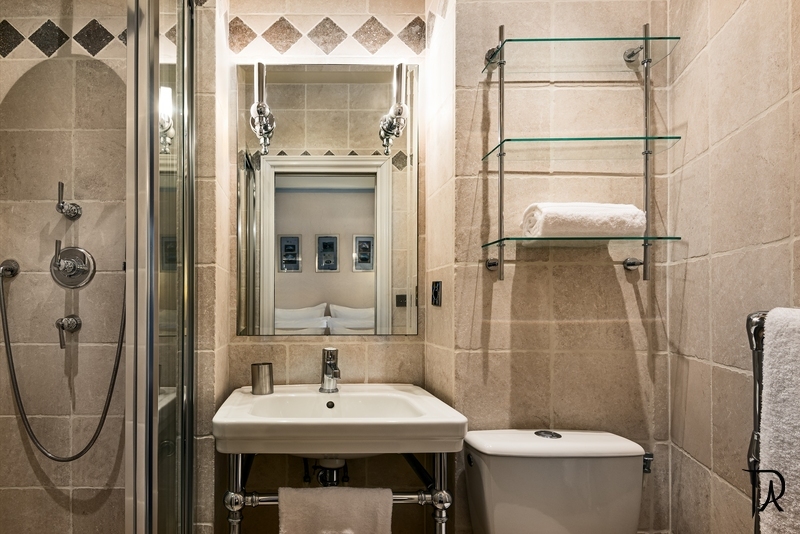 This is a beautiful place, tastefully decorated, fabulous location, spacious shower, fluffy bathrobes, computer with free internet access, quality touches everywhere. The reservation process could not have been easier and the people at Paris Vacation Apartments are a pleasure to work with. Reserve early this apartment will book fast. 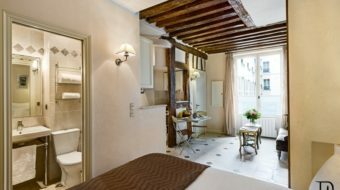 We stayed at this elegant studio apartment from 19th September to 3 rd October 2007 and will definitely return. 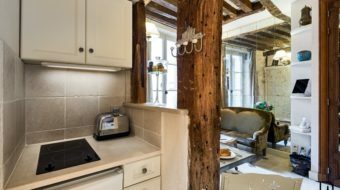 It is compact, but thoughtfully designed and well equipped, and is ideally suited for a couple who are seeking a comfortable base camp in a perfect location in the heart of st Germain. Off a quiet courtyard, it is a real oasis in the middle of the hurly-burly, with excellent shops for top quality provisions within easy walking distance. We particularly appreciatd the free internet and global telephone access, the abundance of excellent restaurants, the easy link to attractive tours and the multi-channel TV. We stayed in the self contained studio after a week and half of driving around the French country side. We found it easily from the Metro (and were met at the door as promised and shown through the apartment & its amenties) and it was great little oasis to come home too after a long day of trekking through the capital. It was close to the main attractions and was really walking distance to most of the Parisan sites. There were wonderful cafe’s within blocks and the cheese shop underneath was always full of patrons and good smells. The little vegetable shop and bakery down Rue de Grenelle also helped us with our last minute dinners at home (when we had them). 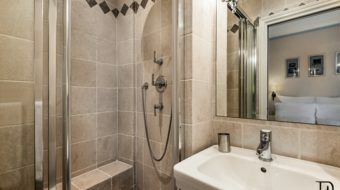 We have since recommended the apartment to a close friend who found it was booked during her stay later this year to her great disappointment. We would happily go back and stay there in the future. Thanks for making our time in the captial so easy to navigate.